was bored and laying in bed so have some free adopts. only 6. first come first serve and only one per person. I do get to choose if you get it or not , so being polite is nice in your request is appreciated. rude comments are likely to be ignored. o0o! i dunno if i want 4 or 5! may i get number three please? so how do i collect him? someone take number 3 so.. can i number 6 please? may I have number 1 please? 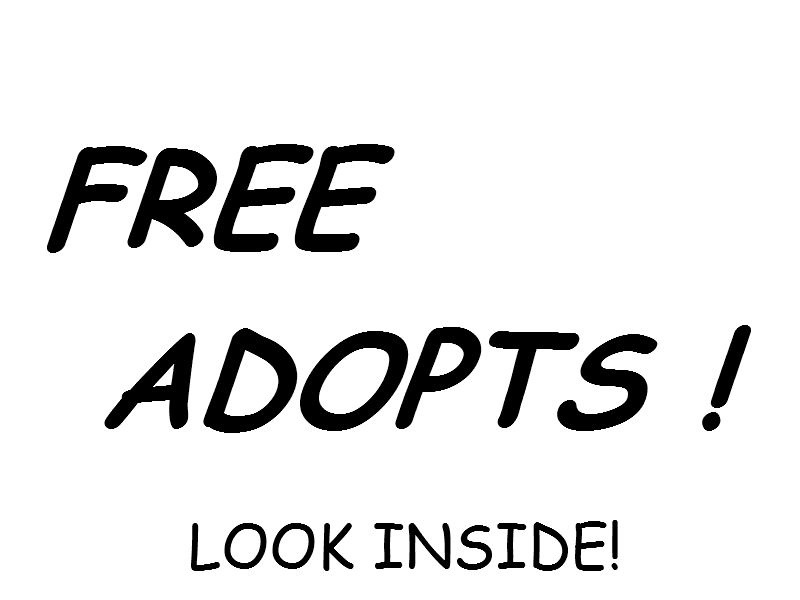 Sorry , but all adoptables were claimed by the time you commented. Maybe ull catch the next batch!